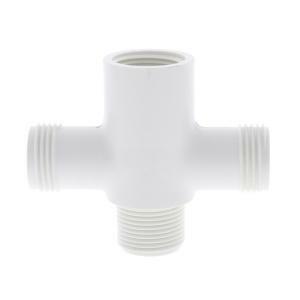 These Schedule 40 PVC Hose Cross Adapters have different styles of threaded ends on the various cross connection points. Fittings have standard 3/4" male hose threads and male or female pipe threads of various sizes. Please note type and size details in each item title and or dropdown menu when making selection.